Stable cell lines are one of the most used tools in drug discovery, toxicity testing, and basic research. Long-term stable expression of a gene of interest is usually achieved by transfection or viral transduction of a vector containing the expression cassette of the gene of interest together with a selection marker (antibiotics or fluorescent proteins). 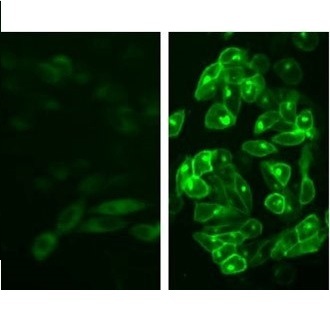 In contrast to transient expression, stable cell lines offer reproducible results for assay studies in drug discovery and development. 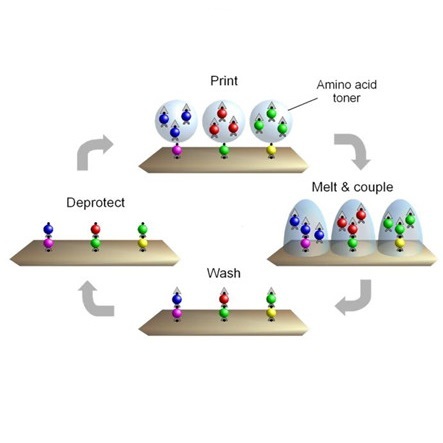 Nucleic acid isolation is one of the most basic techniques performed in every molecular biology lab, yet it is vitally important for the success of all downstream applications. What AS ONE International offers is much more than just another alternative for nucleic acid isolation: the proprietary technologies from Stratec Molecular enable higher quality nucleic acid purification in less time. AS ONE High Fidelity DNA Polymerase is a thermostable enzyme with proofreading ability. The High Fidelity-Taq has 16x greater fidelity than Taq polymerase. AS ONE Hot Start Taq DNA Polymerase is a modified form of AS ONE Taq DNA Polymerase, which is activated by heat treatment. During setup and the first ramp of thermal cycling, the enzyme is not active so misprimed primers are not extended. AS ONE 2X Master Mixes conveniently includes Taq polymerase, NH4+ buffer system, dNTPs and magnesium chloride. AS ONE Taq DNA Polymerase is a thermostable recombinant DNA polymerase, which exhibits very high activity in primer extension and other molecular biology applications. Note: Some PCR enzymes and master mixes are available but not on our website yet, so please contact us if you didn’t find what you need on the list. The PSP® Spin Stool DNA Plus Kit is an integrated system for collection, transportation and storage of stool samples and subsequent DNA purification. 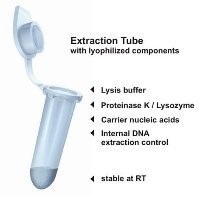 Stool Collection Tube with DNA Stabilizer stabilizes DNA at ambient temperature allowing easy transportation and storage of stool samples. The purification kit is designed for total DNA isolation from microorganisms and from the host organism. The kit can also be used to extract nucleic acids from food and feed residues of plant or animal origin from a stool sample. Using STRATEC Molecular’s unique and proprietary non-chaotropic chemistry, the PSP® (Pre-analytical Sample Processing) product portfolio comprises an integrated sample management system: from sample collection, DNA stabilization, transportation and storage through to purification – all conveniently combined in a single kit. No limits on the number of orders. Please inquiry for the antibodies or ELISA kits of your interest before ordering, send emails for all inquiries or orders to info@asone-int.com with promo code AACR18. Note: CD40 antibodies on the flyer are not on this promotion.